For the past month, I've been trialling a new skincare routine. After months of going through different products, trying a bunch of things on my skin and it not being so successful sometimes, I thought I'd try sticking to a proper routine for a whole month-ish. 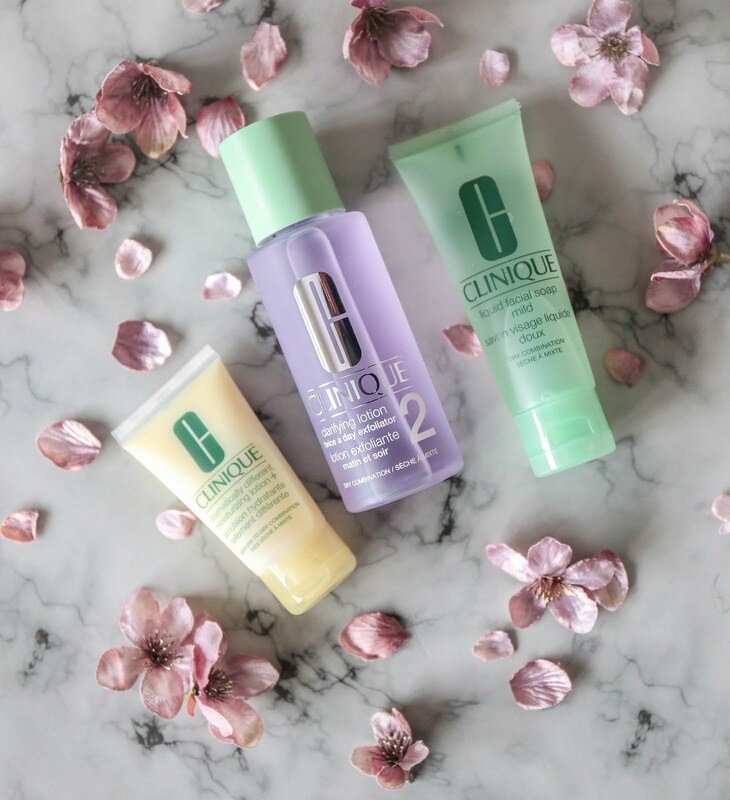 The Clinique 3-Step Skincare System appealed to me instantly as I was browsing the shelves in the store. 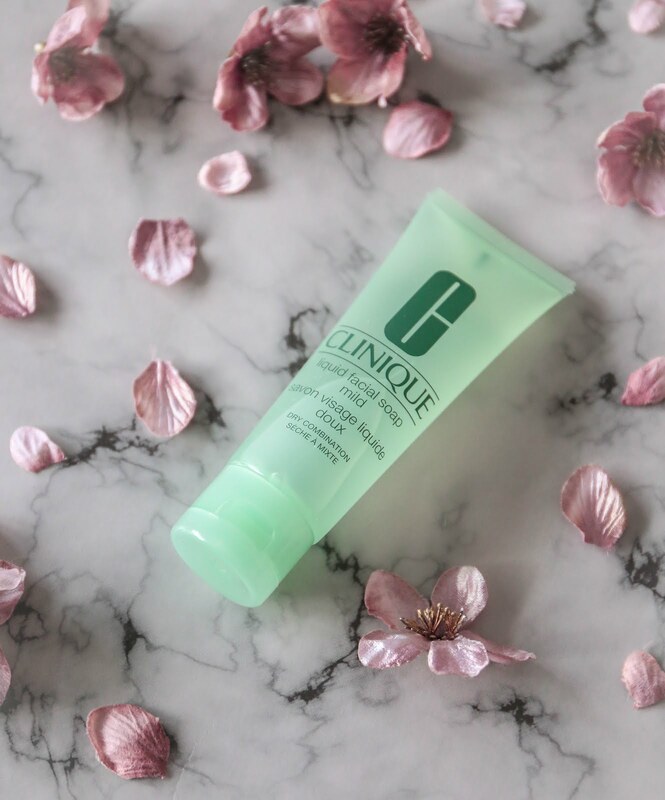 I've heard great things about Clinique but never actually had the opportunity to try any. I thought this was the perfect chance to put the brand to the test, try some products and see what it does for me. I wanted a simple routine, nothing fancy or complex. So, I thought that this routine would be perfect. Included in the box was three products that you are supposed to use twice a day, once in the morning and once in the evening. The package is also available for so many different skin types - very dry to dry, dry-combination, combination-oily, oily, anti-blemish and the system even caters towards mens skin types. I chose dry-combination (skin type 2), as I find that my skin can sometimes be really dry or oily in certain areas. The sales assistant also recommended this upon inspection of my skin. The set of products is supposed to last you a month (so it could be good for travelling or if you want to trial the products, like myself!) and it costs just £20 - which I thought was brilliant for trialling the brand as well as seeing how the products work. The first step is to wash your (make-up free) face with the Clinique Mild Facial Soap. This face wash is definitely on the mild side. You are only supposed to use a small amount as it lathers up quite well. It does make your face feel clean and fresh and doesn't make your skin feel tight at all. I found this very non-offensive and gentle on the skin. A very easy product to use twice-daily! I do, however, think that face wash isn't something I'd usually spend a lot of money on as I tend to get a long with facial washes like these, but they are a lot more inexpensive. A full size of this product is £16.50 - usually I'd use The Body Shop's Seaweed Facial Wash which costs £8 and I typically tend to buy it when there is an offer in store so it is much cheaper than the original price. So, final thoughts on the wash: simple & effective, which is exactly what I wanted. However, not within my price budget as I find that it works in the same way as my current facial product of choice. Next, using a cotton pad and a few dabs of the Clinique Clarifying Lotion, swipe this across your face to gently exfoliate the skin. The sales assistant advised to use this product in one motion of the skin just once. Basically, do not go back and fourth around your face with this as it spreads the bacteria around. This product is essentially a chemical exfoliator and is supposed to visibly smoothen the skins texture by buffing away the dead and dry skin cells whilst also clearing up the skin from spots and break-outs. I found that this product was good at keeping spots and break outs at bay and it also worked well at buffing away dry skin - which annoyingly seemed to appear on my skin at the end of the month. I did think that this product was a bit abrasive as it tingled and almost burned on my skin. I expect this happens with some chemical exfoliators - as the name suggests it is very chemicaly - however, I much prefer the Pixi Glow Tonic as it is so much more gentle on the skin. I do really like this product and how it works with my skin type. The product does keep the appearance of my face smooth and flake-free. However, so does my current chemical exfoliator and it does it more gently too. Also, I personally wouldn't use an exfoliator everyday as it is rather abrasive for the facial area. 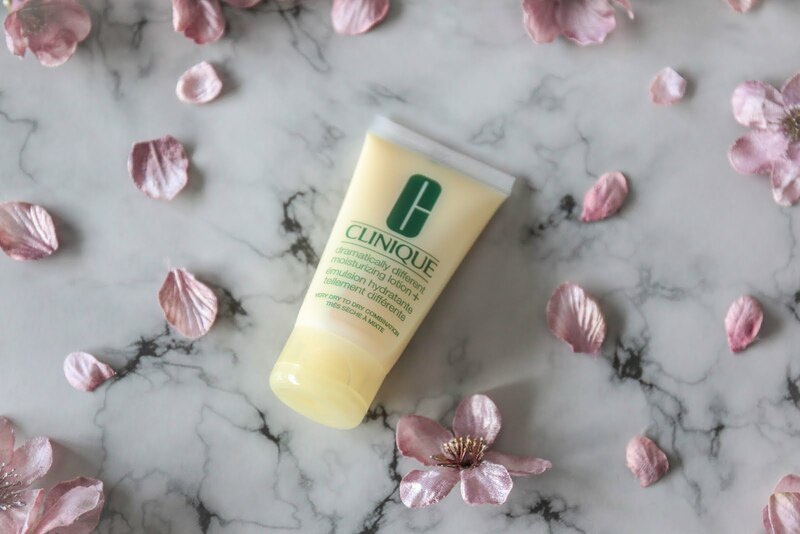 Finally, add some moisture back into the skin using the Clinique Dramatically Different Moisturizing Lotion +. Apparently this product is one of the best sellers of the brand. I must admit that I was quite underwhelmed. First of all, the sales assistant that explained how to use the product to me advised to use a tiny blob of this on your face, day & night. I found it wasn't as hydrating as I would've liked so I was using more product than expected. This product wasn't the most value for money as I pretty much finished it all - unlike the other products in the kit. A full size of this cream is £30 - which is waaaaay out of my budget for a daily moisturiser. I much prefer the price and effectiveness of my Nivea Soft Cream. Overall, I was quite underwhelmed with the products. I mean, they did my skin good but they weren't so special. 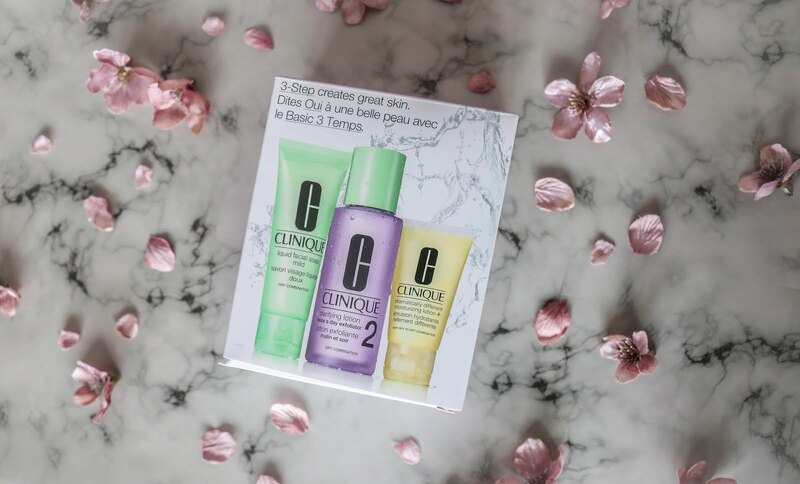 My current products had a similar, if not better, effect than the Clinique 3-Step Routine. I had quite high expectations of the brand because I feel like if you are paying more money for something, it should have amazing results. Unfortunately, this was not the case with these products. 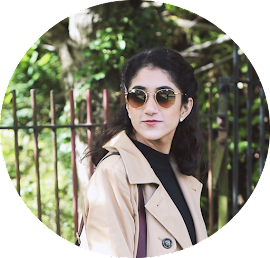 The aim of this trial was to find products to create a simplistic skincare routine that worked. 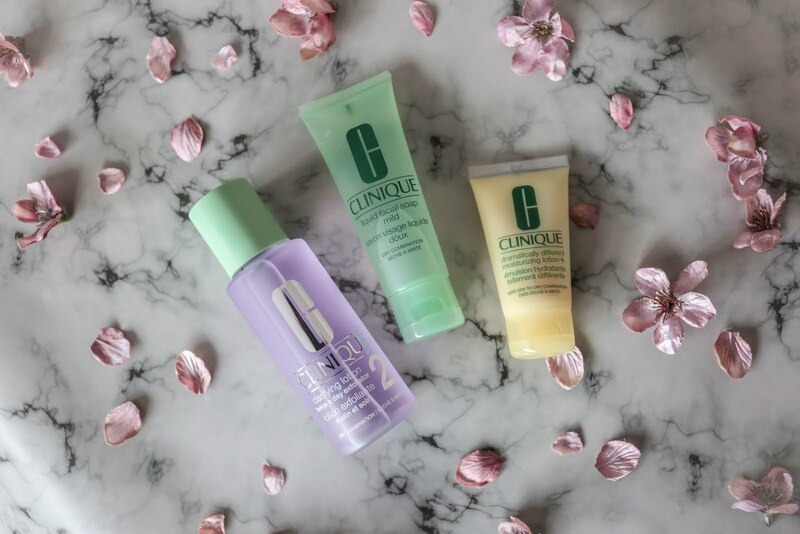 By trying these products out, it made me realise that there are existing skincare items in my current collection that work similarly and are a much better value for money. So the experiment wasn't all unsuccessful... I think I've developed a daily skincare routine that is still only three steps and is a lot more comfortable for me. I'm definitely going to trial the old-but-new routine out and let you know if it works and agrees with my skin! 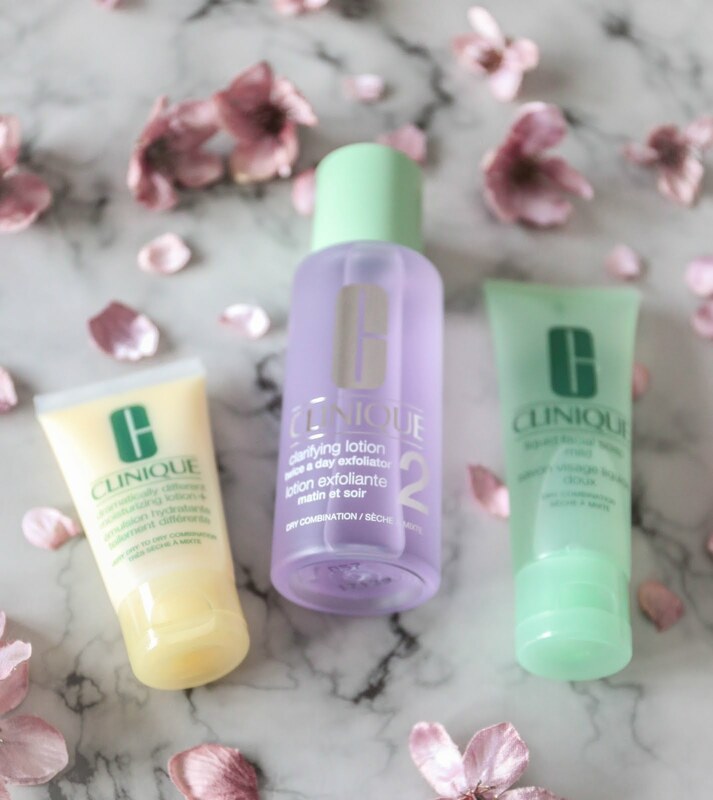 Have you tried any Clinique products? How did you get on with them? Ah! Perhaps it's my skin type rather than the products. A real shame though! 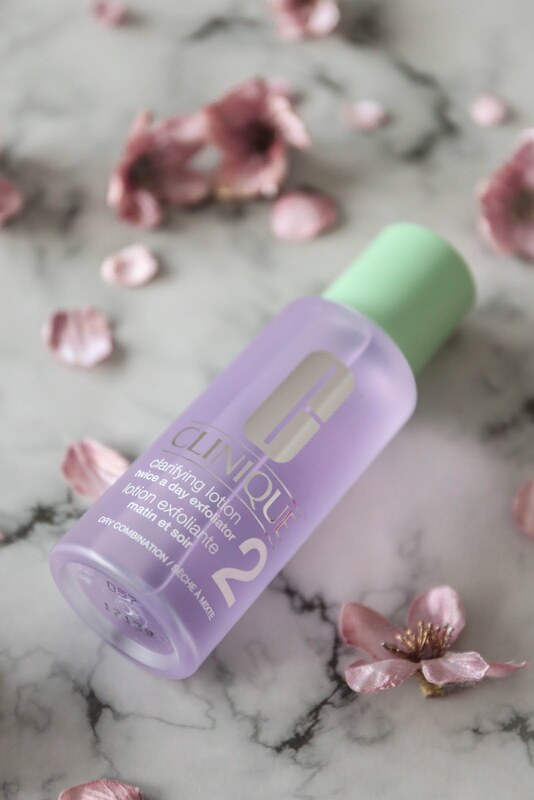 I always past Clinique at Boots, and now, I think I should purchase their Three Step System since I've heard such great things about it. But if it's underwhelming for you, maybe I could find alternatives for the cheap! It might just be my skin type! It's odd how something from the same range didn't work for me. That sounds really good. 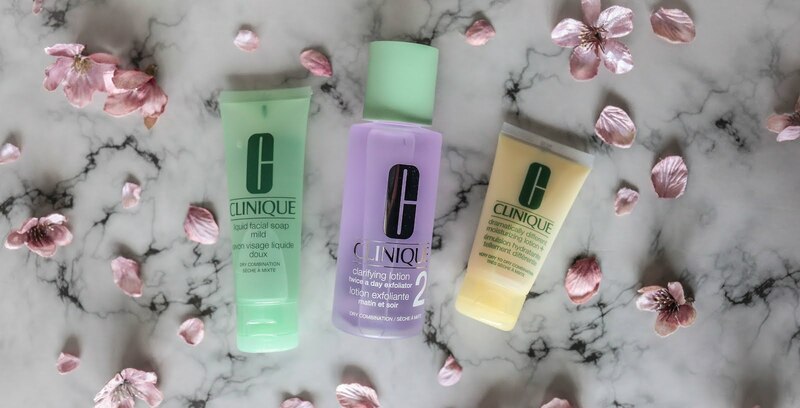 Clinique always has good products. I love using them. I didn't really get on it with it though - can find better products with much more value for money! My skin is quite sensitive too but I guess it just didn't work. A real shame.